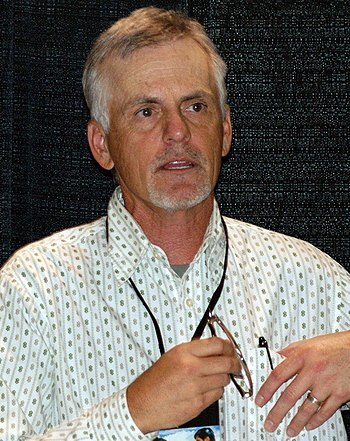 Rob Paulsen has done voice work for two of the three Teenage Mutant Ninja Turtles cartoons, voicing Raphael in the original and Donatello in the recent remake. But in Nickelodeon’s newest incarnation (no, I don’t buy their reasoning for rebooting again…a rant for another time) Paulsen isn’t voicing the Turtles but will be stepping into the voice director role in Rise Of The Teenage Mutant Ninja Turtles. I’ve seen at least two Transformers voice actors turn to directing Transformers shows and did pretty well, so hopefully this will work out too. As he notes in this interview, directing is a lot different from performing. Posted by ShadowWing Tronix on January 1, 2018 in Animation Spotlight, Television Spotlight and tagged Nickelodeon, Rob Paulsen, Teenage Mutant Ninja Turtles.